Voltage ratios from 7200V to 14400V (medium voltage). Primary terminals that are fused are 1/4-20 brass screws with one flat washer and lock-washer. Secondary terminals are No. 10-32 brass screws with one flat washer and lock-washer. Thermal burden rating is for 120V secondary's and the unit has a plated steel mounting base. Fuses have 1″ diameter caps and 5″ clip centers. 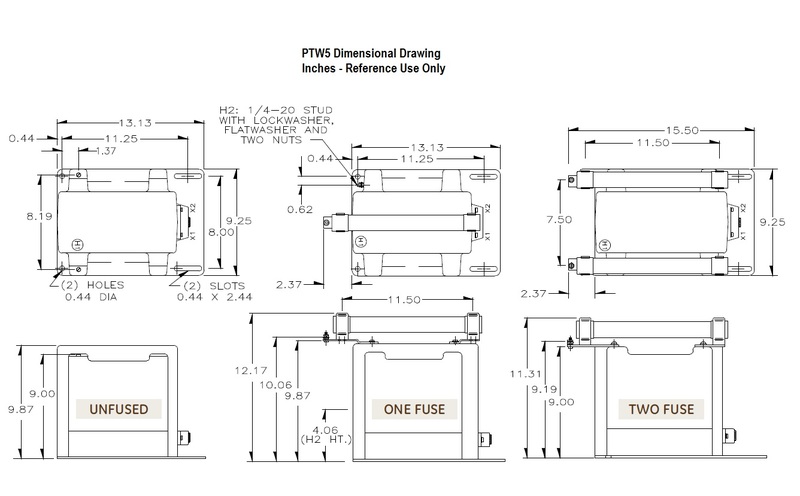 Choose from the PTW5-1-110 series (single bushing) or PTW5-2-110 series (two bushing). 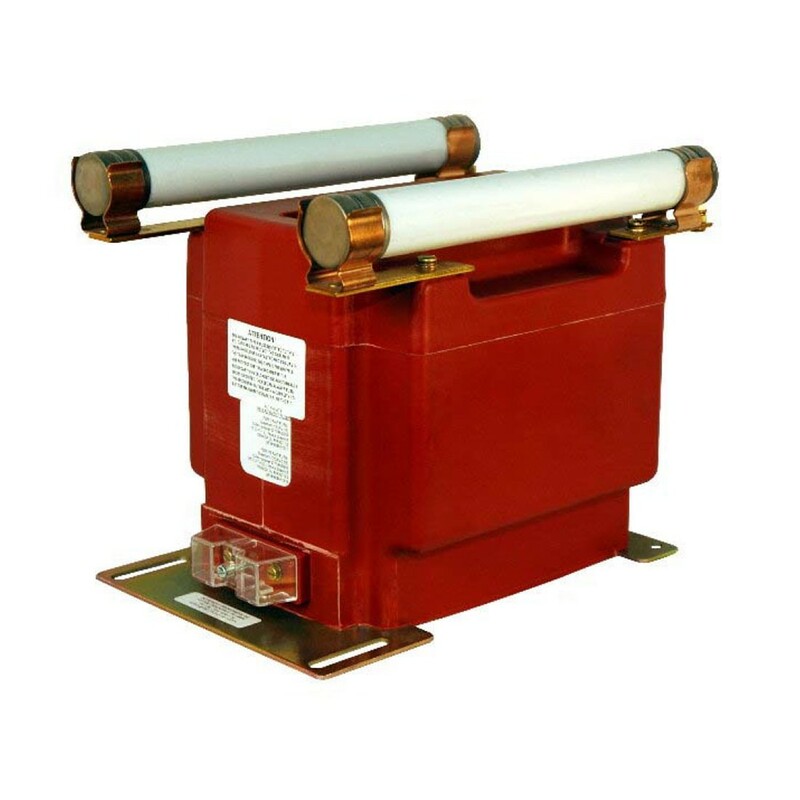 Core and coil assembly are encased in a plastic enclosure and vacuum encapsulated in polyurethane resin.